The Drupal Estimation theme, featuring four different choices of portfolios, 2-4 columns plus single page. Animated sliders, graphic icons from which to choose, testimonials, 2 different types of carousel, 3 types of styles of side tabs. Plus contact page, two types of blogs, about us, meet the team and 404 page. Check out the demo!! 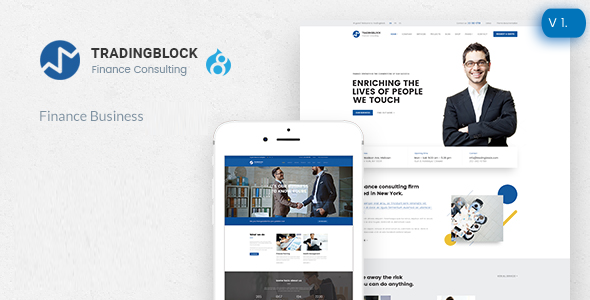 Drupal TradingBlock theme, built for finance, corporate, consulting, accounting services, and other related niches in the business industry. 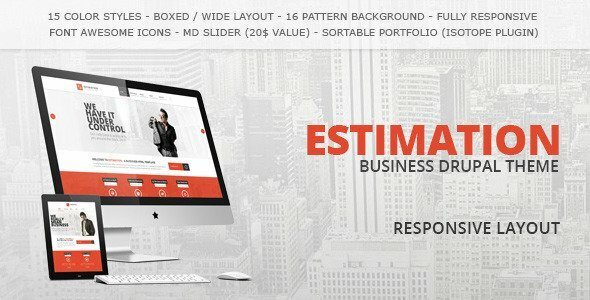 Check out the animated slider, dynamic menus, graphic testimonials, and five different choices of pre-set color skins. 4 different headers, 8 home pages and 4 service pages to choose as well. Check out the demo!! 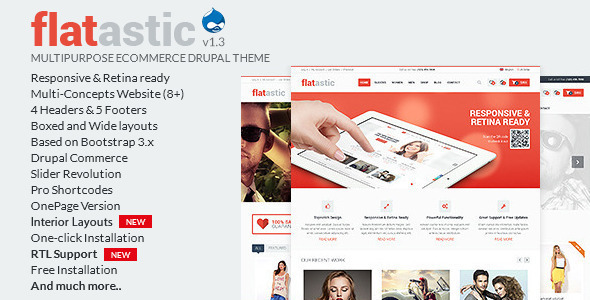 Drupal Flatastic theme! The ultimate e-commerce solution built upon the very powerful Drupal framework. Checkout the demo page which includes several different e-commerce layouts and additionally offers a construction, corporate, single page layout, and interior decorator variation. Awesome sliders, grid and masonry layouts, social media icons. Also includes my cart and check out page. Your well on your way to monetizing your website. Includes contact page with google map integration. Check out the demos!! Drupal Incredible theme, a simplistic style, highly customizable with integration of beautiful sliders. Gives you portfolio column choices with integrated masonry. Blog page features flickr photo integration. Check out the demo! 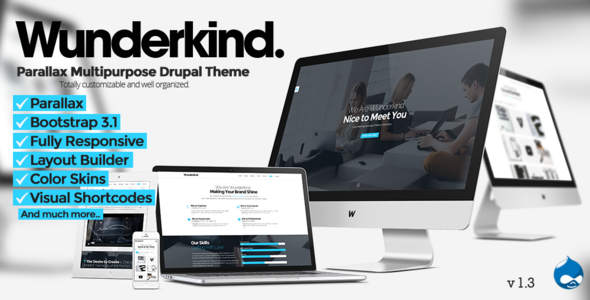 Drupal Wunderkind Theme! The best of all worlds! Fantastic theme styling with the powerful Drupal framework!! Who could ask for more... Check out the super cool sliders on the demos. 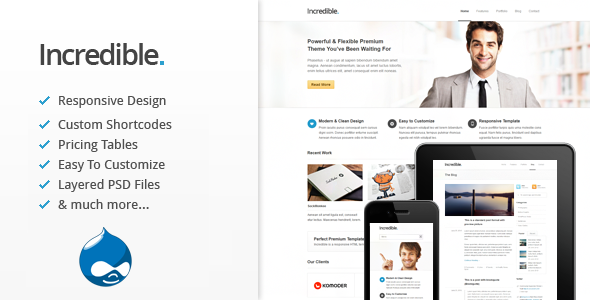 Everything you need on your landing page to make a tremendous impression! Check out the cool video slider display and all the dynamic content illustrating your team, services, projects. Everything you need to make an everlasting display for your potential clients or customers. Check out the large beautiful icons. Social media icons, your all set for your campaign. Includes contact page integrated with Google maps. Check out the demos!! 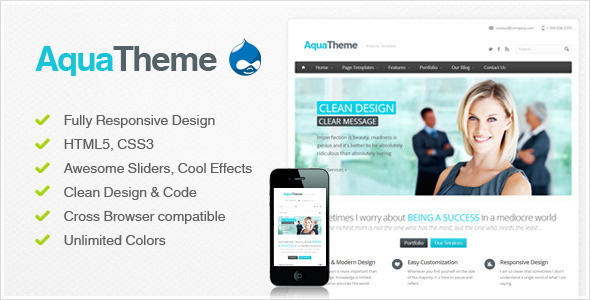 Aqua, a Drupal 7 multi-purpose theme. Includes a theme styler tool, 2 layout modes, carousel, and plenty of reusable elements such as tabs, testimonials, tooltips and highlights. Also, includes twitter and flickr integration widgets. 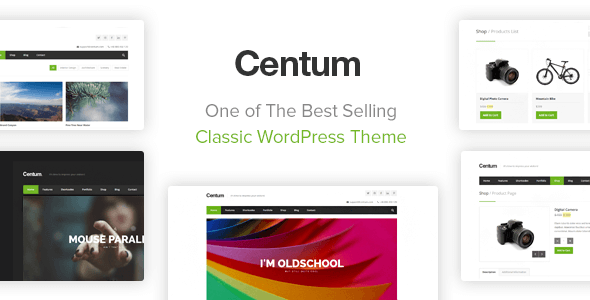 Centum WordPress theme, over 6,000 sold!! A classic theme, includes Google fonts, hundreds of icons from which to choose. 10+ portfolio styles, filter by price widget for retail, 4 different styles of list boxes, testimonials, flickr photo stream, accordion and colored alert boxes. Check out the demo on this WordPress bestseller!! eMetaStar, LLC, founded in 2001, now focuses exclusively on digital marketing. Digital marketing has expanded and become far more labor intensive then when eMetaStar began as a website design firm. For information on our digital marketing services, please visit eMetaStar, LLC website.